inch shorter and five kilos heavier. He's half the man Chris is. Xand van Tulleken has a diploma in Tropical Medicine, a Diploma in International Humanitarian Assistance and a Master's in Public Health from Harvard, where he was a Fulbright Scholar. He is a registered Doctor with the General Medical Council of the UK (without a licence to practice). Xand is a contributing editor to the first edition of the Oxford Handbook of Humanitarian Medicine and has worked for Doctors of the World, Merlin and the World Health Organization in humanitarian crises around the world. Xand has presented numerous shows for the BBC and Channel 4 including: Operation Ouch, Blow Your Mind, Horizon, Secret Life of Twins, and Medicine Men Gone Wild. He has also contributed medical analysis on CNN, BBC 1 and 2, Al Jazeera English and Al Jazeera America, Channel 4, MSNBC, and Fox 5 New York among others. Recently he moved in with the White family for a weekend in Doctor in Your House, which was on Channel 4 UK on 17 November 2015. 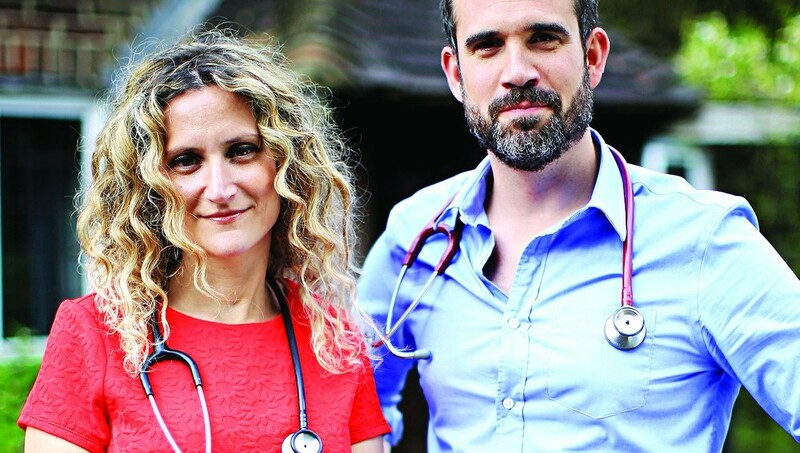 He is currently looking into the range of weight-loss diets out there on Channel 4 in How to Lose Weight Well which is possibly even less dignified than anything he did on Operation Ouch involving, as it does, one green coffee enema and one bout of incontinence. Final episode doesn't involve either of those and is on Monday 25th of January at 8pm. Also, one time Jon Stewart referred to him as Dr. Affleck on The Daily Show. And then he said catching Ebola off him would be "worth it."